We look forward to hearing from you. If you have any questions or concerns, feel free to call us anytime and we will get back to you as soon as possible. 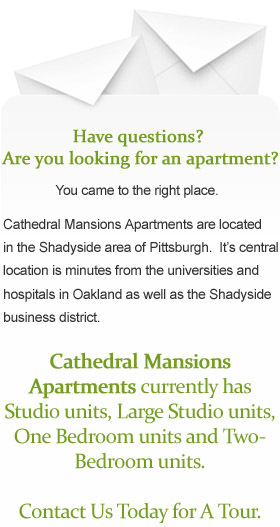 Are you looking for an apartment in the Shadyside/Oakland area of Pittsburgh? Please contact us today at 412-621-8100 to schedule a tour.